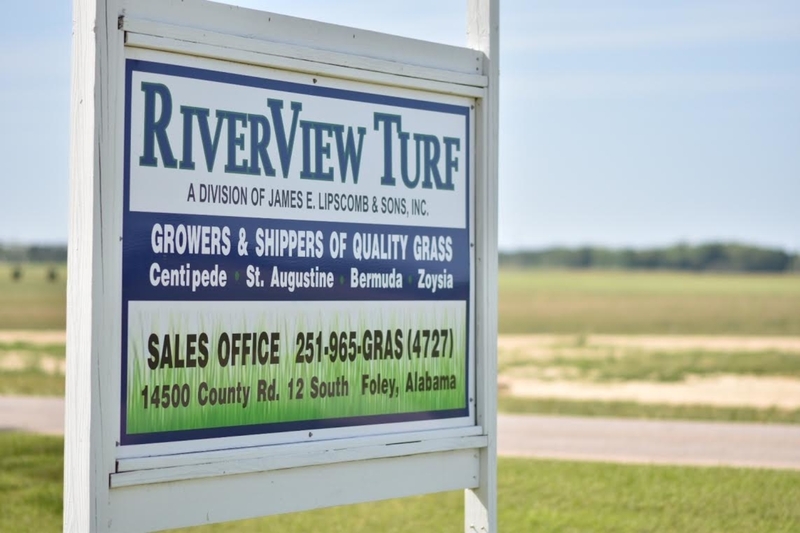 At River View Turf Farm we grow and deliver top quality varieties of turf grass sod for residential lawns and commercial landscaping in the southeast U.S. 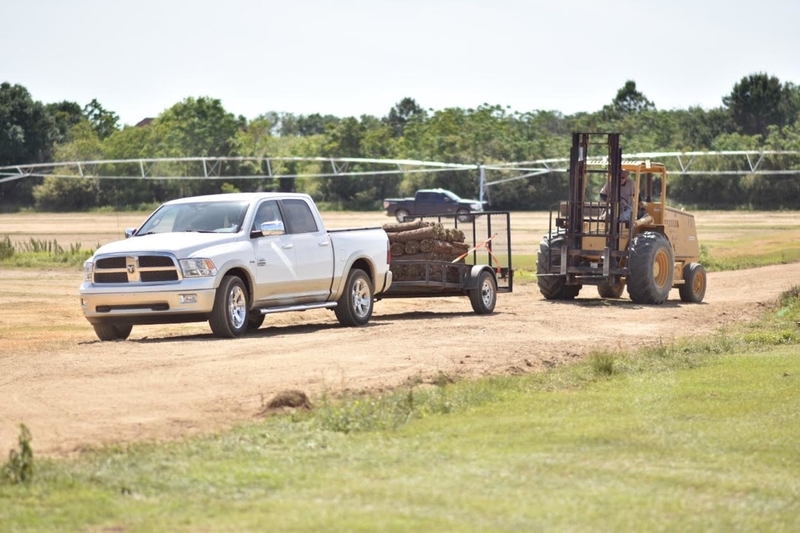 Ordering & delivery of your custom cut turf grass sod is easy with River View Turf Farm. 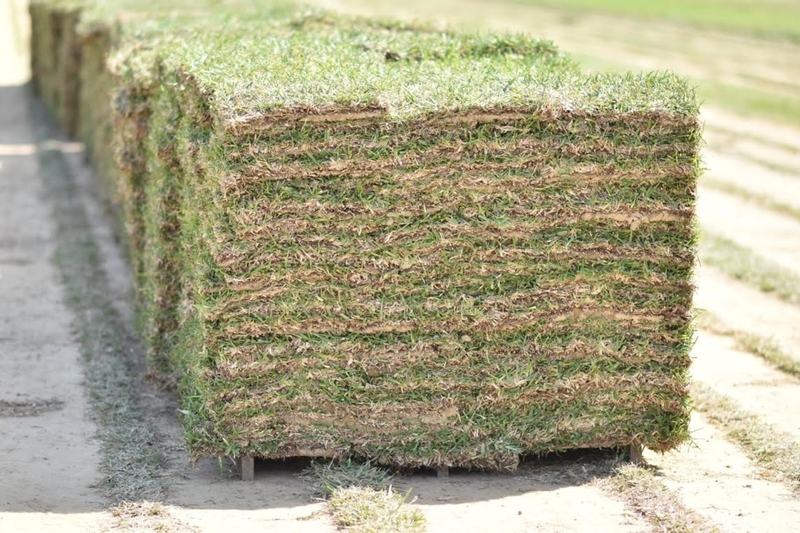 We cut your sod fresh to order and deliver direct to your site throughout Florida, Georgia, Alabama, Mississippi and Louisiana. Our consistent quality control standards grow tough, healthy, long lasting turf grass sod for residential lawns and commercial landscaping throughout the southeast U.S.
River View Turf Farm located outside of Foley, Alabama is a sod grass growing division of a productive family farming operation which began in 1911. 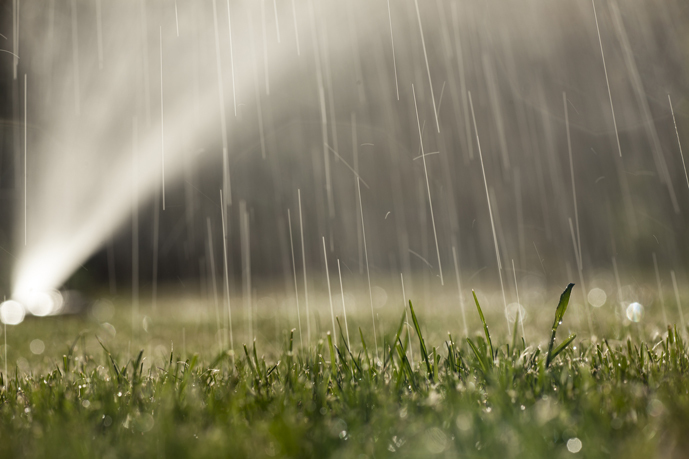 Our farm produces high quality sod grass and turf for residential and commercial landscaping. 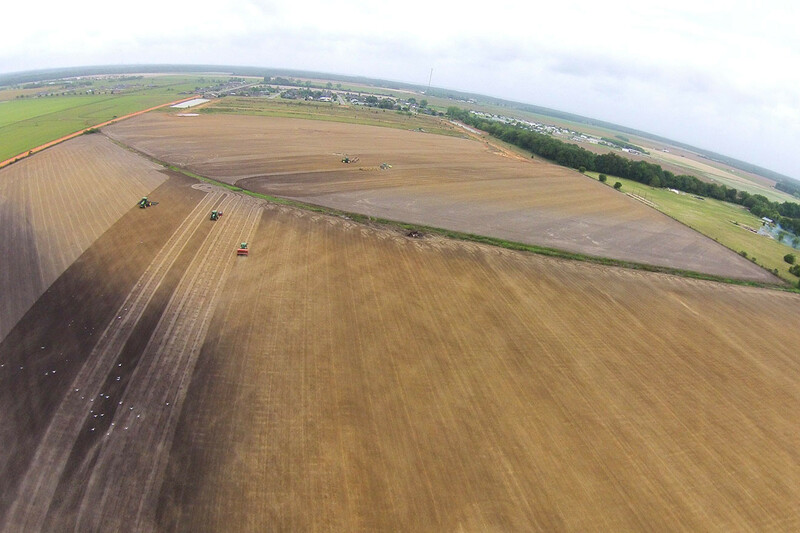 Anyone can order turf grass sod by the slab or roll directly from our farm and we deliver across the southeast U.S. to Florida, Georgia, Alabama, Mississippi and Louisiana. 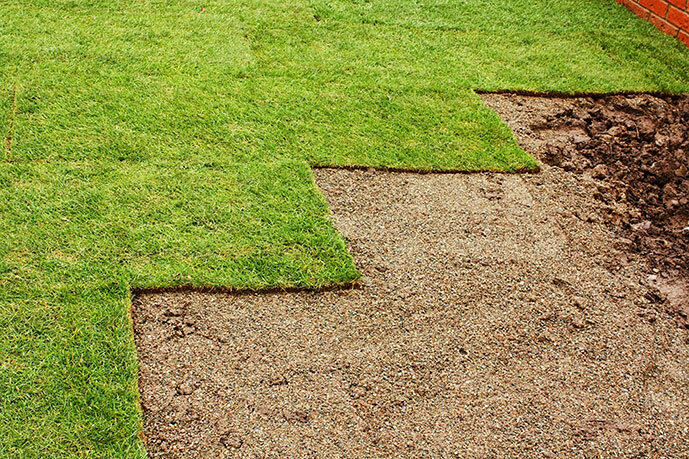 We deliver the highest quality turf grass in a timely manner, generally within 48 hours of your order. Your turf grass sod from River View Turf Farm is cut fresh and delivered fresh to provide fast, healthy growth on your property. We cut and deliver turf grass sod in palletized slabs, mini rolls, 42 inch big rolls and 30 inch big rolls. You can learn more on our Ordering & Delivery page. Our turf grass sod varieties include St. Augustine Grass, Centipede Grass, Zoysia Grass and Certified Tifway 419 Bermuda. All are grown to the highest quality standards for a lush, beautiful and durable landscape turf to enhance your home, development project or commercial property. 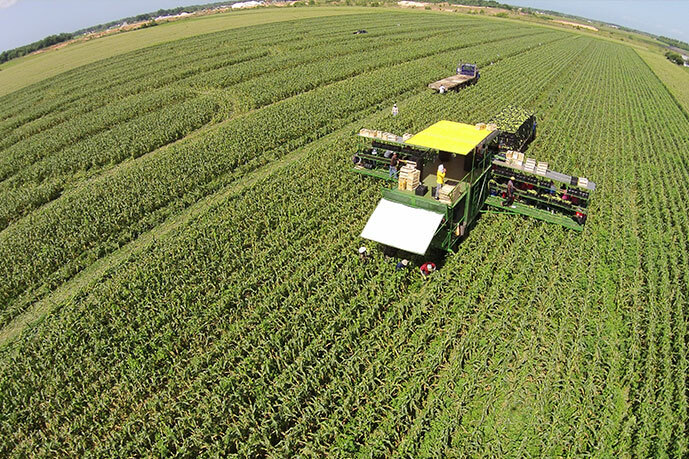 River View Turf Farm has 1,200 acres of sod grass in active growth, carefully controlled for nutrient supply and prevention of disease, weeds and insects. Our growing technology and quality control is second to none. Find out more about our unique, quality turf growing system at our Products page. Please Contact Us to let us know how we can best serve your sold and turf grass needs.